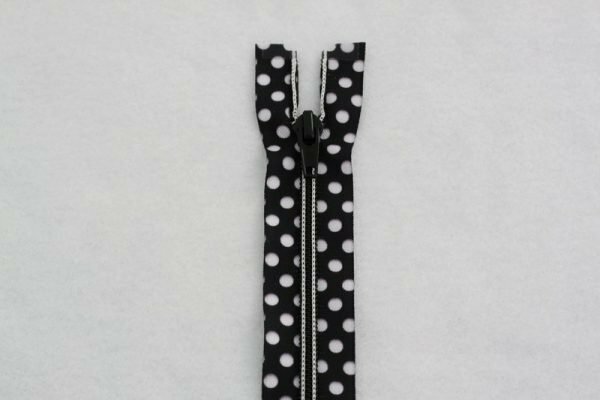 24" decorative tape zipper, black with white polka dots. Polka dots are just shy of 7/16" wide. Separating, open end.